It's been called a perfect movie. It's been called not a movie, but a 105 minute thrill ride that plays like an anthology of all the best parts of Saturday matinees of all time. Whatever you wanna call it, it's a darn entertaining time. And, this year, it's been re-released for it's 30th anniversary. In IMAX! I watched Indian Jones and the Raiders of the Lost Ark for the first time in a dinky theater in Bermuda where I was in elementary school. It was literally the best thing I'd ever seen. For months after, we'd search high and low for vines, ropes, whatever we could find that could be imagined as a whip. 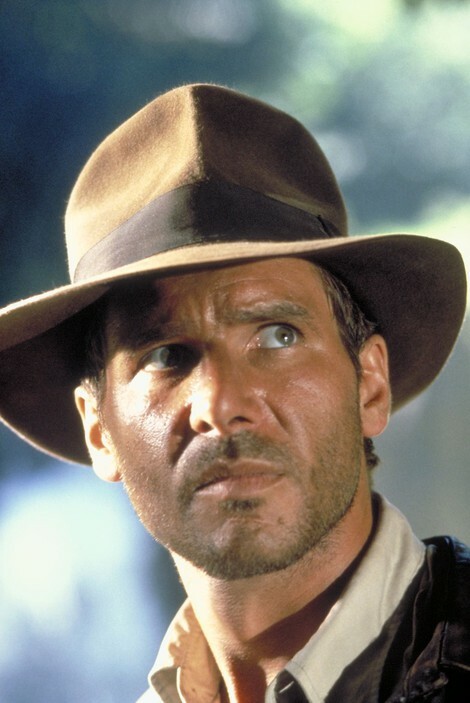 We were all Indiana Jones that summer. And now we can be again. On Wednesday go get the IMAX experience and relive your childhood. It's on at Atlantic Station at 1:30. Go all out. Buttered popcorn. A bucket of coke. It's all good. $15 per person. "The offshoot of chef Tom Douglas’s flagship restaurant, Dahlia Lounge, offers a gourmet twist on an Egg McMuffin: a fresh-baked English muffin topped with a fried-to-order egg, house-cured ham, cheddar cheese and a spicy dab of Dijon mustard. Douglas’s new joint, Serious Biscuit, serves over-the-top sandwiches on the house specialty. 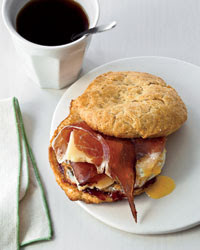 One biscuit sandwich includes fried green tomato, bacon, remoulade, and egg. tomdouglas.com"
The have the recipe for this sandwich and all the others in their list right there on Food & Wind's site. Breakfast should be about $20. Second: Now that you're in the culinary spirit, try out the Dunwoody Green Market. The Dunwoody Green Market will get you ready for a week of fresh, healthy cooking. "Dunwoody Green Market is a 7th year Producer only Market that is open April - November . Our hours are Wednesdays from 8am-12:00 Noon. A Producer Only Market means that only vendors who make or grow what they sell can participate. All of our produce vendors grow using organic methods and most are Certified Naturally Grown or Organic." Third: Head on down to Regal Atlantic Station for Raiders of the Lost Ark. Starts at 1:30. $15 per person. Fourth: Nap. Raiders can take it out of a person. ZZZZZZZ. Fifth: Tasting Notes at the St. Regis. Did you know that the St. Regis hosts a wine tasting each Wednesday from 5:30 to 7:30 called Tasting Notes. In their opulent wine room, you'll be joined by St. Regis Atlanta Wine Director and Sommelier Harry Constantinescu to explore wines from around the globe. Wine flights are presented with five wines for $25 per guest. $5 for Valet tip. Make some tasting notes at the St. Regis in Buckhead at 5:30 - 7:30. Finally: It's just across from the St. Regis. It's got a great view. It has some really great steak, and wonderful service. 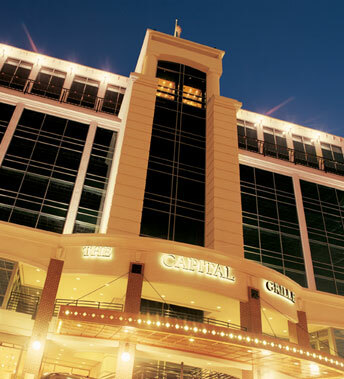 It's Atlanta's Captial Grille. Have dinner there. Start with the Lobster and Crab Cakes. The sweet corn relish is divine. Then, have the lamb chops as an entree. Capital Grille is a steak place, but these are the best chops I've been able to find in town. They're huge too! Maybe share with your date. Always a good idea. Pair it all with a nice big red. They have a huge wine list. Ask for a recommendation. I'd go with a cab. $50 per person. Enjoy!